Once maligned for cheating on its emission tests, Volkswagen has reemerged as the largest car seller in the world. 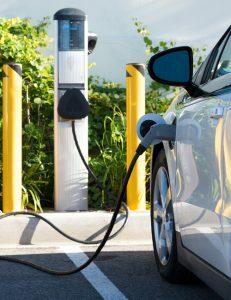 Boosted by strong, global sales, the company has recovered financially and is poised to become a major player in the electric vehicle (EV) market. A mix of lucky breaks, deals with the unions, and a strategic focus supported by substantial investments has enabled Volkswagen to manage a current crisis while keeping the company oriented toward a bright future. This post is based on the Bloomberg article, How Volkswagen Walked Away From a Near-Fatal Crash, by M. Campbell, C. Rauwald, and C. Reiter, March 28, 2018. Image source: flippo/123RF. 1. What are the reasons for Volkswagen’s lingering reputation problem? Guidance: Discuss Volkswagen’s breach of ethics which eroded consumers’ trust. Also mention the bad PR surrounding the issue: former CEO’s awkward response as well as new CEO’s lavish lifestyle and characterization of the fraud as a “technical problem.” The press reports on ongoing lawsuits, investigations, and site inspections also contribute to keeping the scandal alive in consumers’ minds. 2. As Volkswagen is trying to reinvent itself, it is adhering to a core strategy while expanding its scope. How? Guidance: Volkswagen was created to deliver affordable cars to the masses. Accordingly, it established an infrastructure and processes to support mass production. With its new strategic focus on EVs, Volkswagen is sticking to its roots while differentiating itself from competitors with the development of a large product mix for the mass market. However, it has expanded its mission from selling cars to selling mobility (e.g. ride-sharing), thereby avoiding “marketing myopia”. 3. Most automakers outsource their components. On the other hand, Volkswagen produces many of its components. What are the potential benefits and drawbacks of this practice? Guidance: Benefits of insourcing include control over quality, German workers’ high productivity, potentially lower and more predictable lead times, retention of jobs, and retention of business/technical knowledge. The drawbacks include high labor costs, inability to free up capital for other needs, assuming more risks, and missing on suppliers’ expertise in some areas. 4. What external threats jeopardize Volkswagen’s attempts to expand its global market share and prosper financially? Guidance: Discussion topics include the challenges of existing and new lawsuits related to product fraud, tariffs imposed by the US on EU imports, intense competition in the EV market, and potential economic slowdown.